Now that summer is definitely very much over I find myself craving some proper home comfort foods and winter warmers. Bring on the pies, casseroles and hot pots! One of my favourite comfort food dishes is Moussaka, a Greek classic that I guess is sort of the Greek equivalent of a shepherd’s pie. 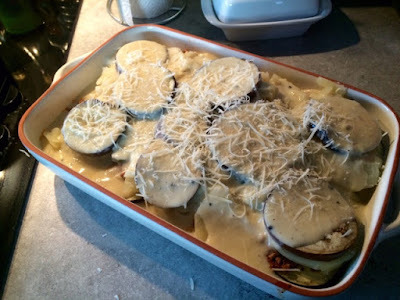 Whilst similar in that it’s a mince based bake, instead of a mash topping moussaka is layered with aubergine and potatoes, the meat spiced with cinnamon and everything is topped with a cheesy white sauce. In my opinion, these differences make it just that little bit more special. Many of you may not be familiar with moussaka but it’ll be on the menu at any decent Greek restaurant so I strongly suggest you give it a try. Moussaka is one of those great cook once, eat again later in the week/for lunch the next day meals. In fact traditionally Greek’s cook it earlier in the day and eat it warm, rather than piping hot, at dinner time. 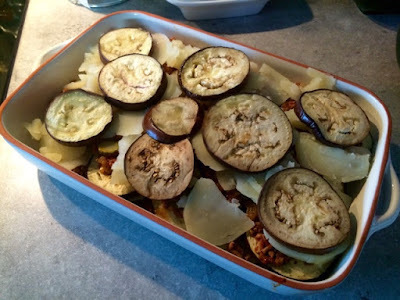 You could make a large moussaka and have it for dinner for a couple of days or freeze in portions to get out on those busy days where you just need to heat something up quickly. Moussaka makes a great alternative to shepherd’s pie giving you the same comfort factor with a bit more of an exotic feel. Traditionally served with rice and salad I like to keep it simple, just with some steamed green veg on the side. 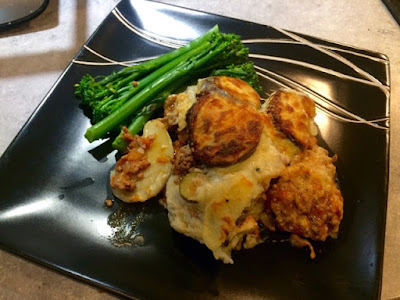 I’m submitting my scrumptious moussaka to Corina’s link up over at Searching for Spice for recipes to Cook Once, Eat Twice in October. 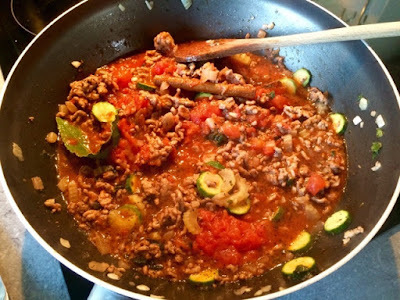 Pop on over to her blog to see what other yummy dishes everyone’s come up with! 2. 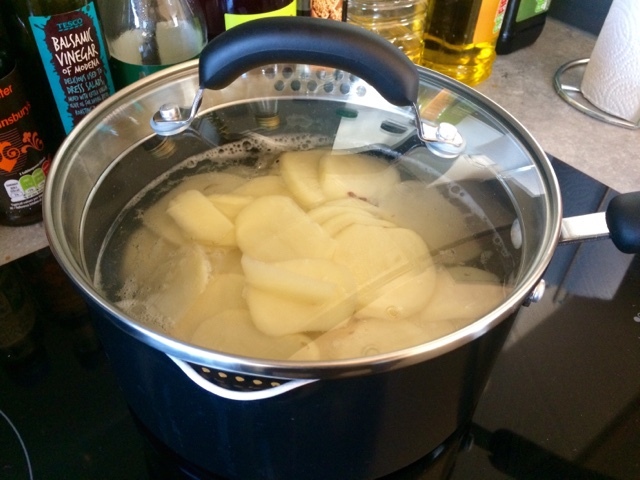 Boil potatoes for 5 minutes. 3. 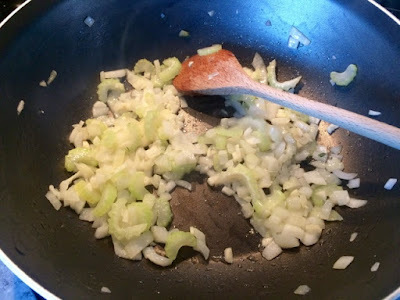 In a large pan on a medium heat, gently fry the onions, celery and garlic until onions are translucent. 4. Add the lamb and cook until browned. 5. 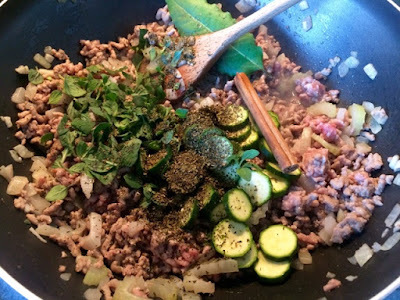 Add the bay leaf, cinnamon stick, oregano, mint and courgettes. Seaosn generously with salt and pepper. Mix through and cook for a further couple of minutes. 6. 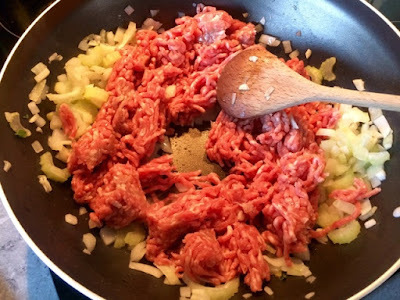 Add the red wine, mix through and allow to cook of for a couple of minutes. 7. 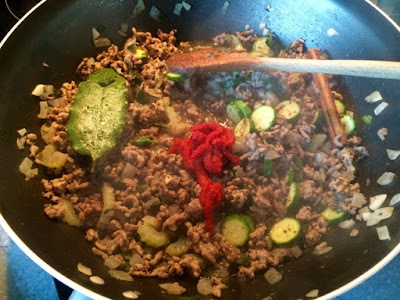 Add the tomato purée, mix through and allow to cook of for a couple of minutes. 8. Add the tin of tomatoes and bring to the boil. 9. 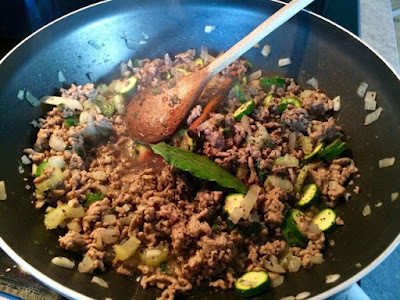 Reduce to a simmer, cover and leave to cook gently for 10-15 minutes. 10. 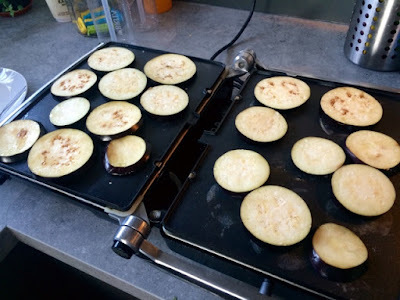 On a flat pan or grill gently fry the aubergine for 1-2 minutes on each side. 11. 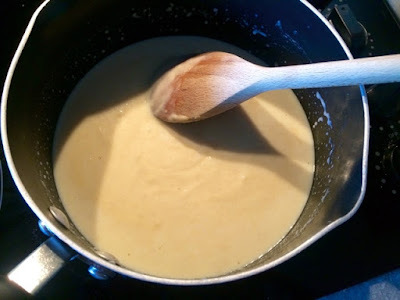 For the white sauce, in a saucepan on a medium heat, stir the butter and flour together until combined in a paste. 12. 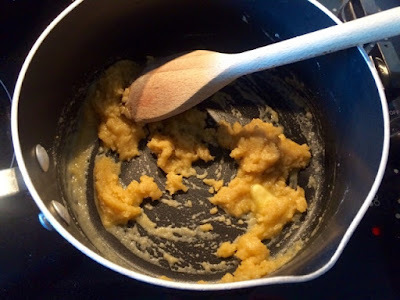 Add the milk a little at a time, allowing the paste to fully combine each time before adding more. This may seem like a laborious process and it’s tempting to add all of the milk at once, but if you do the mixture will go lumpy and not reach the right consistency. 13. 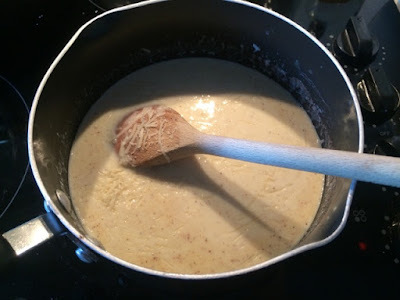 Once all of the milk is in add the nutmeg, half the parmesan and season with salt and pepper. Taste and adjust seasoning accordingly. 14. Remove from the heat and quickly stir in the beaten egg. 15. 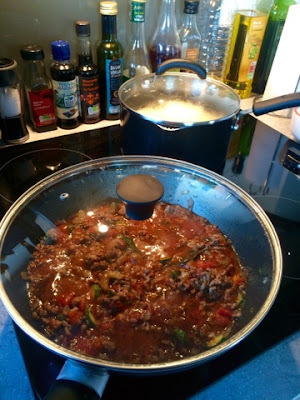 Pour in a layer of meat sauce, top with a layer of potatoes, followed by a layer of aubergines. Repeat until everything is used up, finishing up with the aubergines on top. 16. Pour over the white sauce and sprinkle over the remaining parmesan. 17. Bake for 35-40 minutes or until golden and bubbling on top. 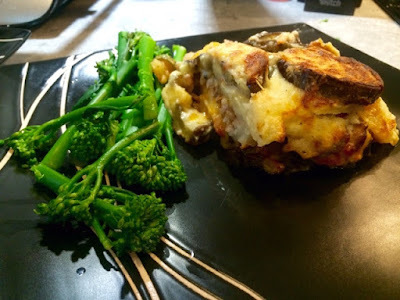 I haven't made a moussaka for a long time but it's a great meal to serve for lots of people or to eat up as leftovers! I've never been to Greece but I remember having delicious moussakas when I visited Cyprus. Thank you so much for linking up to Cook Once Eat Twice again. I think it's a great idea for a link up! My other half and I work slightly crazy schedules so always looking for things that I can cook for the whole family but reheat to eat around our shift patterns! I grew up with a Greek-Cypriot neighbour so this became an absolute family staple!